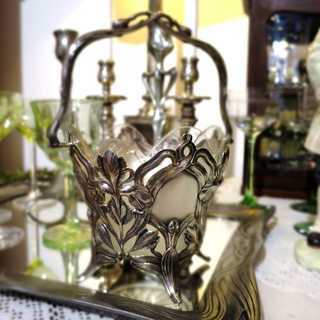 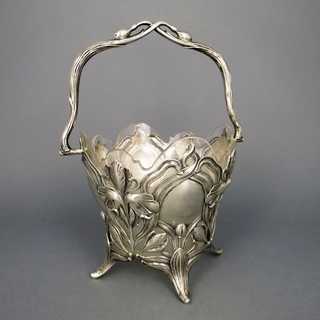 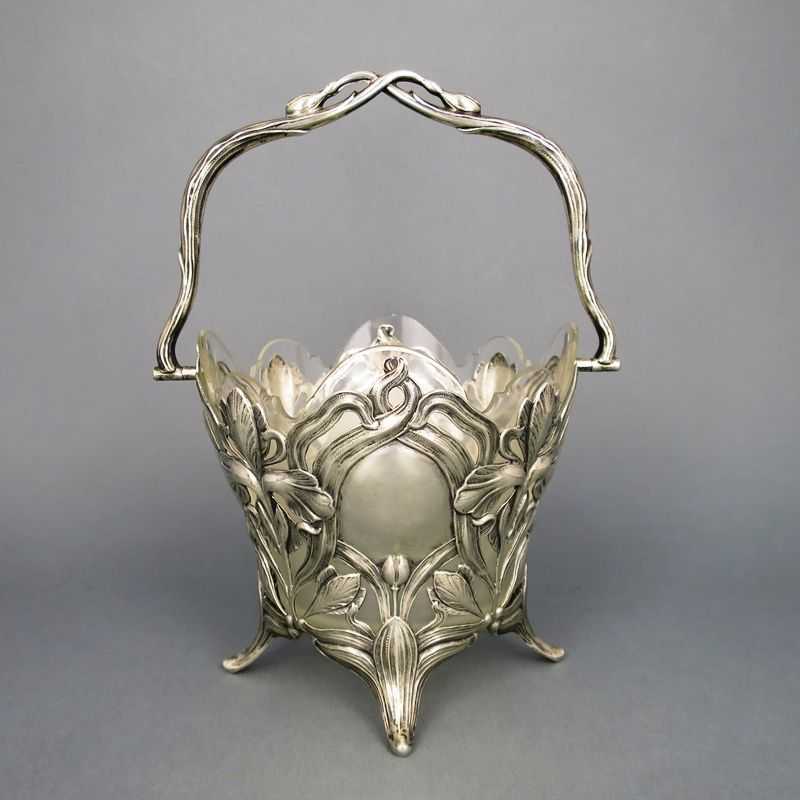 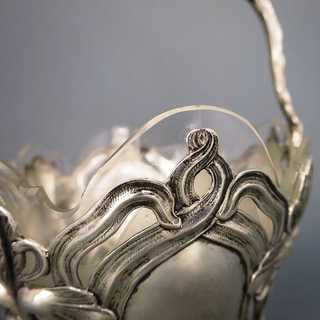 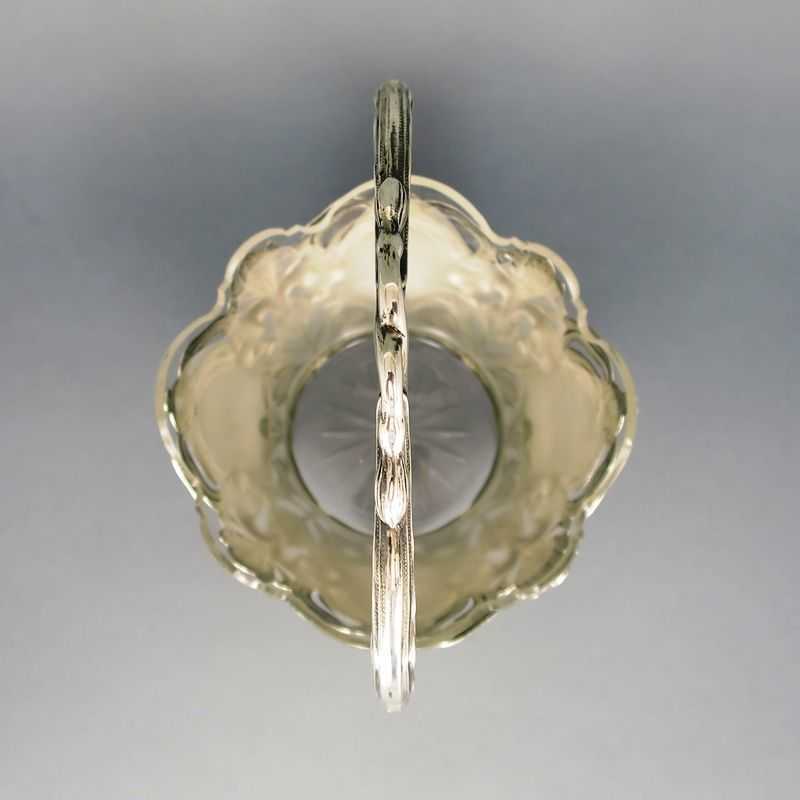 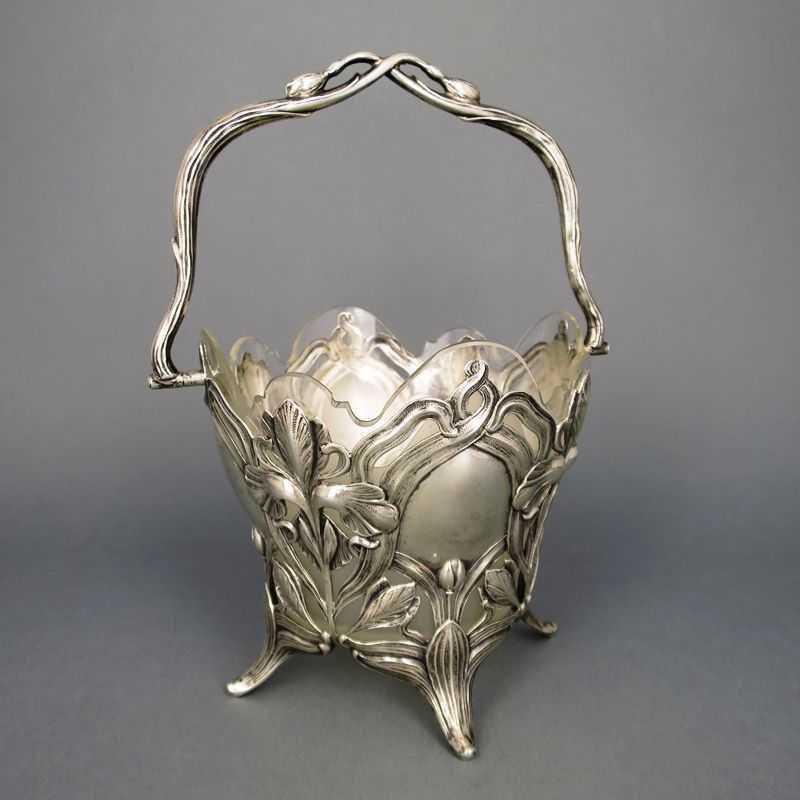 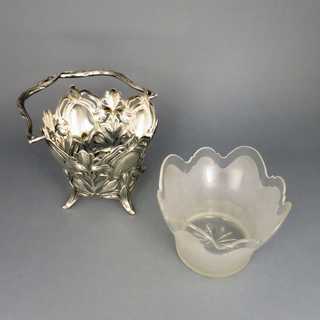 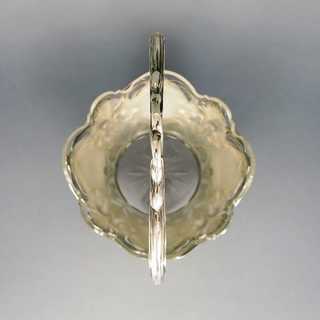 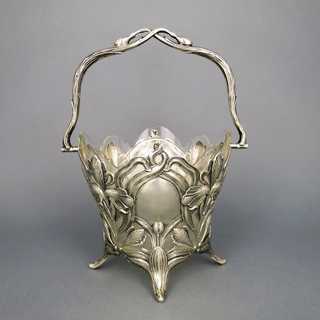 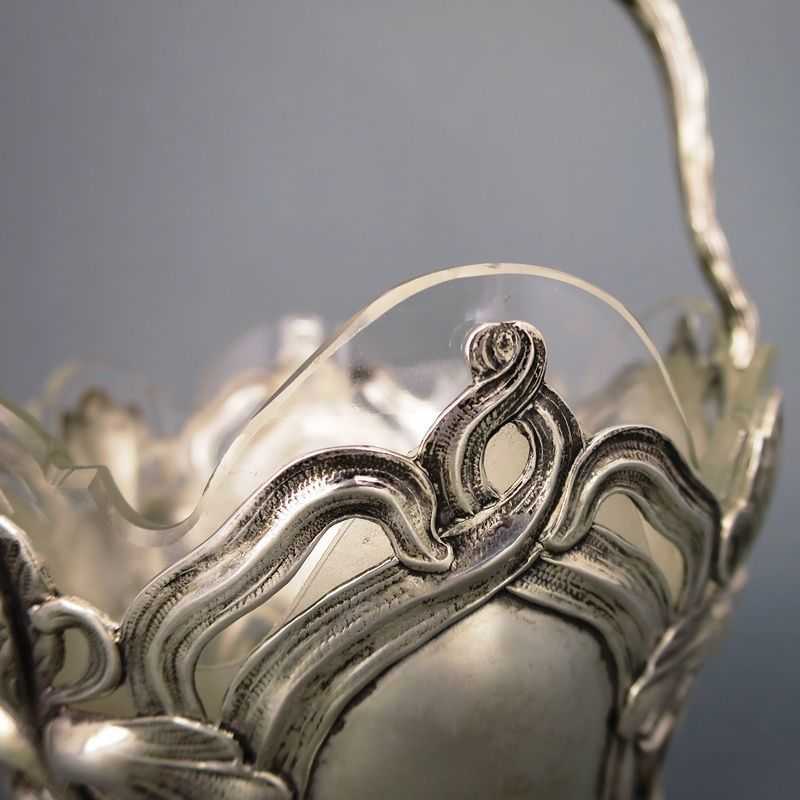 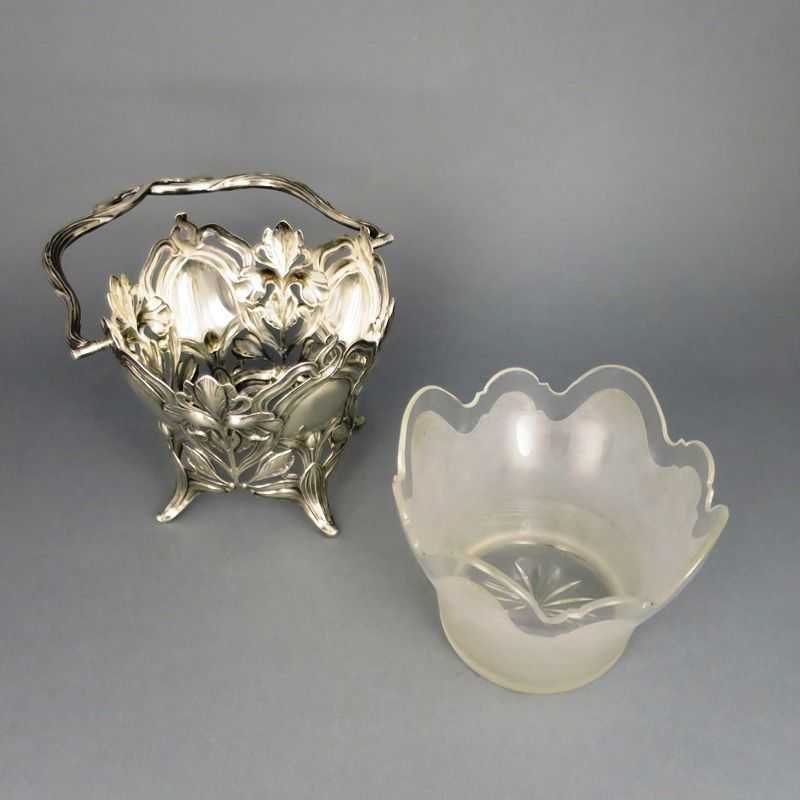 Wonderful decorative basket shaped bowl from the german Jugendstil. 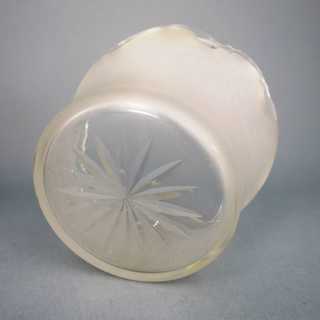 Conical shape on four feets, with hinged handle. 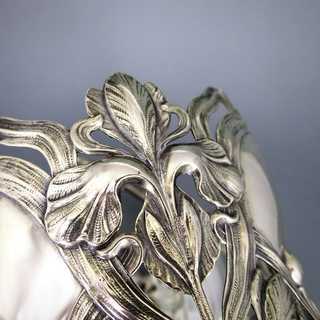 Rich open worked body, composed from leaves and flowers of iris plant. 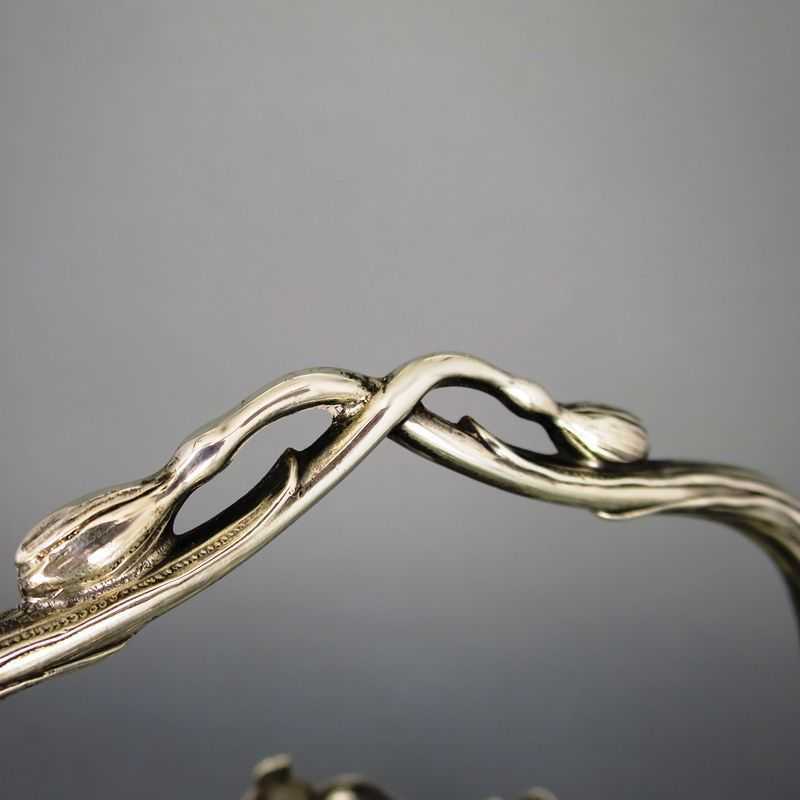 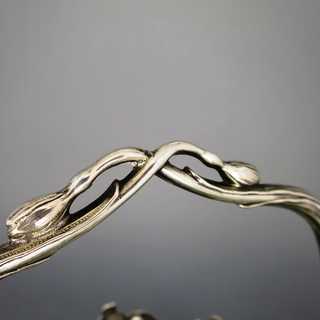 Handle in the shape of crossed buds on long stems. Inside a matching inlay with heavy scalopped rim, made from colorless, transparent crystal glass with partly matted surface and bottom star. 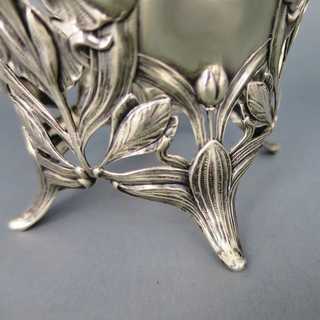 Beautiful soft shapes, typical design of the Jugendstil! 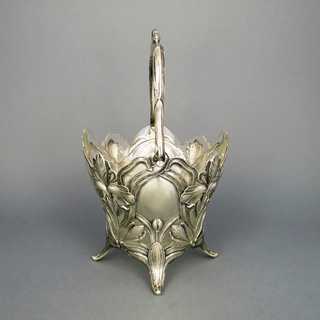 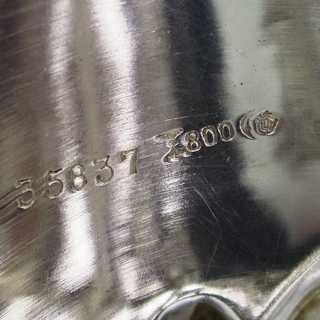 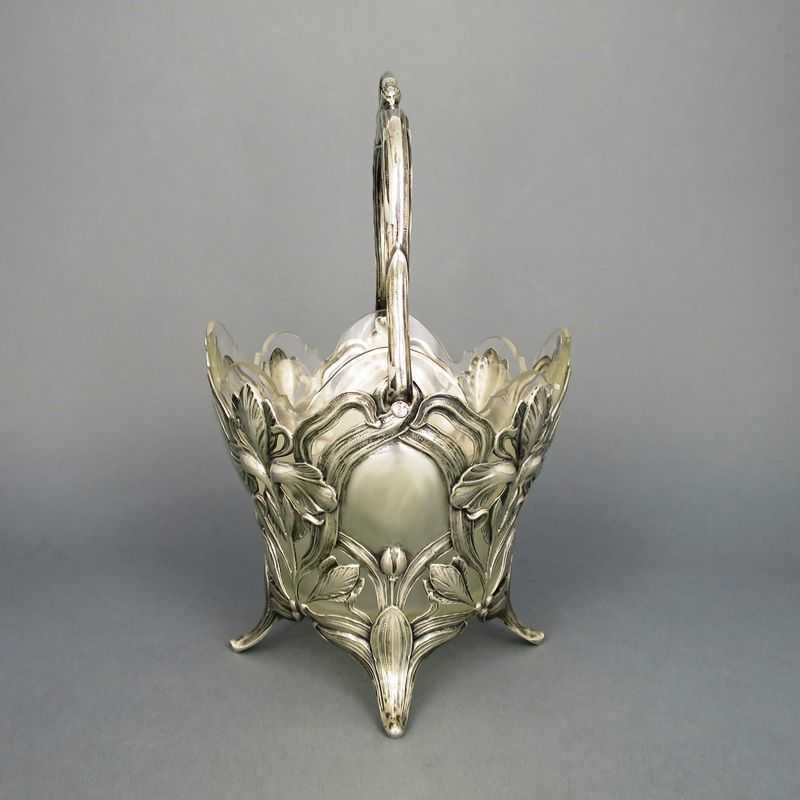 Marked, made by the silver manufactory of Koch & Bergfeld in Bremen/Germany, about 1900.